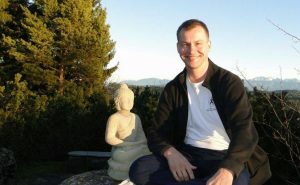 Tallinn Sangha is extremely happy to invite you to take part in meditation weekend on March 29-31 with travelling teacher from Germany Dietrich Rowek, also known as Didi among friends . Dietrich was born in 1961. He met with Diamondway Buddhism and took refuge in 1984, 2 months later he met with Lama Ole Nydahl and followed him since then. Since 1985 Dietrich together with his beloved wife Zsuzsi helped Lama Ole Nydahl to raise Buddhism in Hungary by contacting some friends in Budapest. In 1992 Lama Ole asked Didi and Zsuzsi to travel around as diamond-way teachers and spread the word in his name. During following years Dietrich provided lectures in nearly all European Countries, Israel, Russia and in the USA. Nowadays Dietrich and Zsuzsi live in Southern Germany in retreat center of Schwarzenberg, just half an hour drive from Europe Center. Dietrich runs his own company TCM – Clinic and Tai Chi Chuan School, that makes their living since then. NB! We kindly ask you to register for the course beforehand. This is important for our small group, as we would like to fix good quality food and accommodation for everybody. You can register by dropping us an email at info@buddhism.ee. * Would you like to stay at the center?